After decades of civil unrest, the Colombian government reached a ceasefire with the Revolutionary Armed Forces of Colombia (FARC) on June 23, 2016. The ceasefire deal was the last major step in reaching a final peace agreement, expected by the second half of August, according to Colombia’s Minister of Post-Conflict, Rafael Pardo. Peace is expected to bring many benefits to Colombia, including improved rule of law, security, and increased investment. This improved business environment has the potential to open a number of new opportunities for to U.S. companies. The U.S. is an important trade and investment partner for Colombia. U.S.-based companies have been exporting an increased number products to Colombia since the U.S.-Colombia Trade Promotion Agreement went into effect in 2012. U.S. goods exports to Colombia stand at $16.3 billion in 2015, having grown 14% since the implementation of the agreement – compared to just 1.2% growth in U.S. goods exports worldwide over the same period. This makes Colombia our third largest export destination in Latin America. Two industries that have made large gains are agricultural products and manufactured goods. Agriculture exports have doubled to $1.3 billion, and manufacturing exports grew 9.8% for a total of $14.5 billion in 2015. One of the areas under negotiation as part of the peace process is comprehensive agricultural development. Therefore, a number of large agricultural development projects are planned as part of the government’s post-conflict strategy. The goal is to assist those areas most affected by the conflict and work to peacefully reintegrate the FARC and its former members into society. 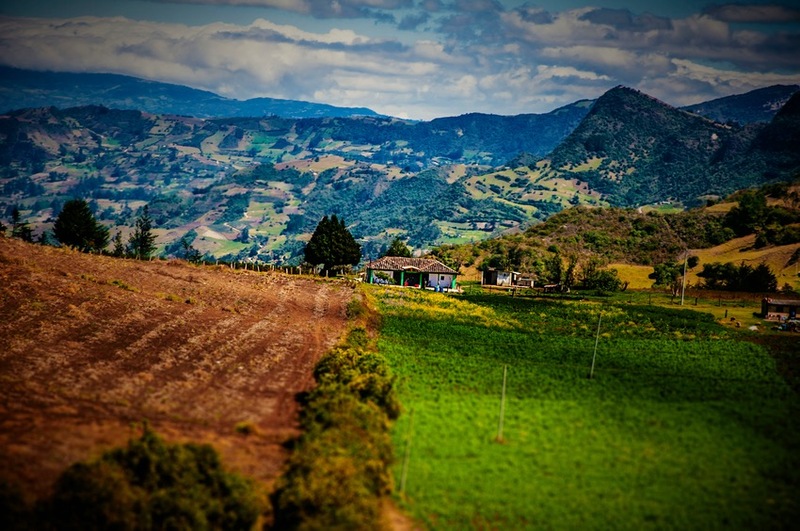 This priority has the potential to improve the standard of living for about 20% of the Colombian population that lives in rural areas affected by violence. As Colombia seeks to develop and modernize its agricultural sector, U.S. agricultural equipment and services firms may find new business opportunities. For instance, new agricultural equipment imports can be subsidized by the government of Colombia, and the two-year, $500 million Colombia Siembra program is expected to increase agriculture growth in four years from 2.3% to 6.2% by 2018. In addition, Business Monitor International found that total food consumption is projected to rise by 56.4% between 2014 and 2019. As a result, more opportunities may open up for businesses that provide value-add technologies to the sector, such as food processing and packaging companies. Agriculture: commercialization of family farming, increased agricultural productivity at small scale farms, and development of irrigation districts. Colombia is seeking international cooperation and private sector participation to fund several of these development projects. Some of the financial tools being considered are private investment incentives such as Free Trade Zones and Public-Private Partnerships in post-conflict areas. Minister Pardo has also proposed an adjustment to the private sector infrastructure tax. This will create tax incentives for businesses developing infrastructure projects in conflict-affected areas. The post-conflict environment will present new business opportunities for U.S. companies. Accordingly, U.S. businesses should begin exploring the market now in order to take an advantage of these opportunities. For information on doing business and exporting to Colombia, visit our web page, including information on upcoming trade events. The Colombian U.S. Commercial Service team is ready to support you in successfully doing business in Colombia.